WireTough's ground storage cylinders have been certified by the American Society of Mechanical Engineers under Section VIII, Division 3, for storage of CNG and non-corrosive gasses, at pressures up to 15,000 psi (1,000 BAR) for stationary, fueling station storage. By the first quarter of 2017, WireTough will be producing hydrogen ground storage tanks that meet ASME Section KD-10 requirements. This standard specifies additional requirements for hydrogen. 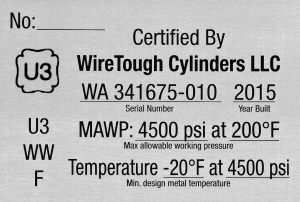 WireTough Cylinders offers ASME certified high capacity CNG storage at 15,000 psi. CNG vehicle cylinders have been certified under the DOT and NGV-2 standards since 2011. As part of it's certification process, DOT requires CNG cylinders be subjected to a series of physical tests, including placing a CNG filled cylinder onto an open flame until failure occurs, as well as firing a .50 caliber BMG round into a another cylinder of same dimensions and conditions, to illustrate penetration and effect. The WireTough cylinder was completely engulfed in flames for over four minutes before the pressure relief device activated, harmlessly releasing the CNG into the environment. 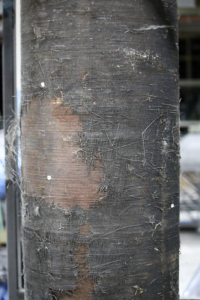 The cylinder remains intact and fully functional, although the outer epoxy coating had been burned away. 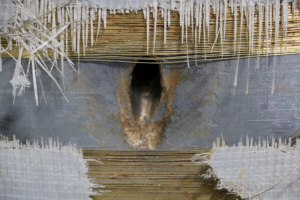 WireTough's patented, proprietary steel filament continued to exceed DOT/NGV-2 standards, by maintaining structural integrity at 3600 psi (post fire pressure test). The standard test is fire a .30 caliber rifle at the tank. The point of this test is to cause the tank to fail; it should vent the gas without igniting. The .30 caliber rifle could not penetrate the WTC tank. In order to get the WTC tank to fail, the independent testing company used a .50 caliber rifle which did penetrate the tank but did not come out the other side. The .50 caliber rifle is over four times the force of the .30 caliber. The WTC tank vented the CNG without igniting. 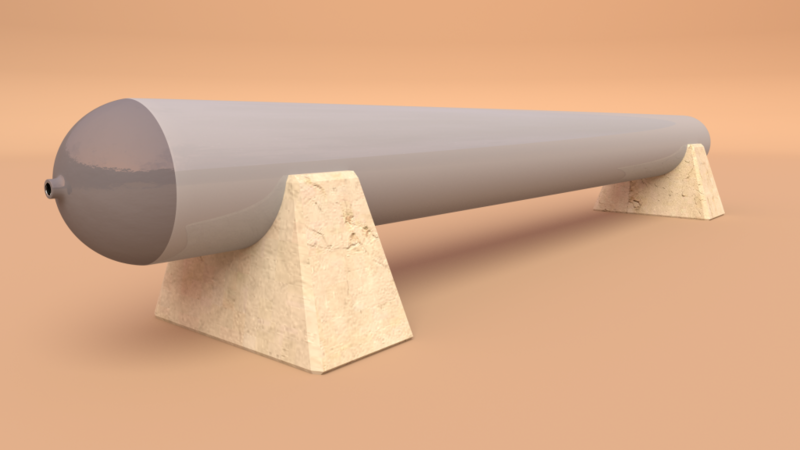 WireTough's bullet test cylinder proved to be very robust, deflecting .30 cal. bullet fire and only being penetrated when hit with a .50 cal. BMG round and even that penetration could not continue through the other side. WireTough obtained approval from the American Society of Mechanical Engineers (ASME), under section VIII, Division 3, to manufacture pressure vessels for compressed natural gas (CNG) and other, non-corrosive gasses (argon, nitrogen, breathing air, etc). WireTough has also complied with the requirements of ASME Section KD-10, which provides additional requirements for the manufacture of pressure vessels for hydrogen. 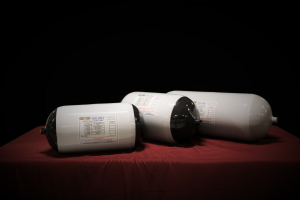 Being the most difficult to contain, hydrogen is subject to additional requirements due to it's invasive nature toward the metal used to manufacture pressure vessels.